Morgan Stanley’s latest management revamp puts a chief executive on the market. James Gorman, the $61 billion Wall Street bank’s boss, on Wednesday appointed Colm Kelleher as sole president and his heir apparent, leaving co-president Greg Fleming in the cold. Kelleher is the ultimate Wall Street survivor. But Fleming may find his skills in high demand. 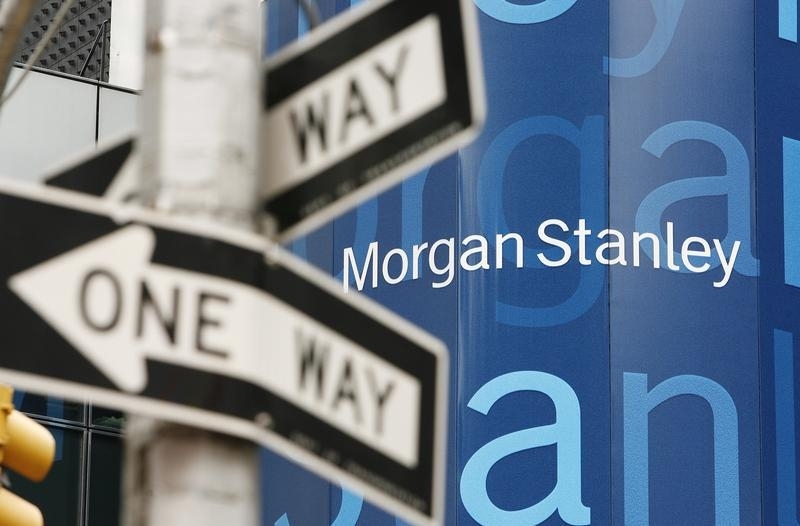 Between them, the bankers have helped get Morgan Stanley back on its feet. Fleming oversaw the integration of Citigroup’s former brokerage arm, Smith Barney, into the wealth-management division and drove its pre-tax profit margin up to a respectable 23 percent in the first nine months of last year. Kelleher has arguably had more of a slog: the fixed-income trading franchise was more of a mess. And he butted heads with his former co-head of the institutional securities division, Paul Taubman. The latter’s more strait-laced approach did not gel well with the Irishman’s more colorful, salesman-like charm. As with today’s shuffle, he came out on top. But Kelleher’s chances of assuming Gorman’s corner office are low. The Australian former McKinsey consultant intends staying in charge until he reaches 65, the company’s retirement age, in seven years’ time. Kelleher is a year older than his boss, so would be more of an interim emergency replacement. That leaves a next generation of potential leaders to groom. Fleming, 52, may have missed some of the more obvious recent CEO jobs in the financial industry – assuming he wanted them – such as running Barclays. The board of BlackRock, though, may fancy him as a successor to 63-year-old chief Larry Fink, with whom Fleming is close. American Express’s Kenneth Chenault has been having problems of late. The stock has dropped nearly a third in the past 12 months and attracted the attention of activist hedge fund ValueAct after the credit-card and payments company lost a big-ticket contract with retailer Costco. Now on the market, Fleming may hold appeal to Amex’s directors as a potential replacement. Some of America’s regional banks may fancy hiring Fleming, too. Advising them on M&A was his specialty earlier in his career at Merrill Lynch. With the Federal Reserve now showing more willingness to allow lenders to merge, Fleming might even be in a position to put his old tricks to use. This may be an occasion on Wall Street when both ferrets emerge from the sack intact. Morgan Stanley on Jan. 6 appointed Colm Kelleher as sole president, taking on overall responsibility for wealth management in addition to his current role as head of the investment bank. His co-president, Greg Fleming, who ran wealth management, is leaving after six years at the bank. Shelley O’Connor and Andy Saperstein have been named co-heads of wealth management, reporting to Kelleher.